DENMARK: The largest offshore wind developer Dong Energy has reported "strong underlying growth" in its wind business, despite impairments to its oil and gas interests that forced the group into a net loss of DKK 12.1 billion (€1.6 billion). Dong CEO Henrik Poulsen said the group's EBITDA of DKK 18.5 billion was the highest in the group's history but a €17 billion loss in impairments, mostly in its oil and gas division, pushed the company into a net loss. The wind business also suffered DKK 500 million of impairment losses, as a result of an ageing installation vessel fleet and "goodwill", Dong said. Its wind division saw EBITDA increase 2% to DKK 6.2 billion, however, this was offset by one-off divestment gains in 2014. Poulsen said the underlying growth of the offshore business was "significant". Revenue of the wind division increased to DKK 16.5 billion from DKK 9.7 billion in 2014. 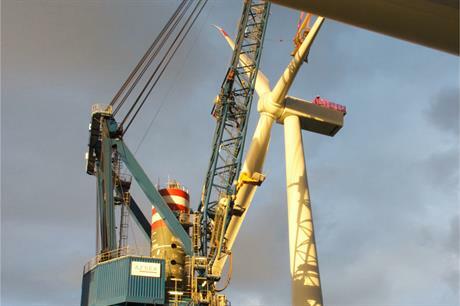 Generation from wind projects was up 16% year-on-year due to the addition of the 210MW Westermost Rough in the UK and the German North Sea project 312MW Borkum Riffgrund 1 being placed online in the year. Production would have been higher but the Danish projects Anholt and Horns Rev 2 suffered cable faults causing the projects to temporarily shut down in the year. The Danish transmission operator Energinet.dk compensated Dong for the lost production. An export cable fault was also found at the company's 183.6MW Walney 2 project in the UK in December. No further details were given on the outage but repairs are in progress and Dong expects it to be reconnected in the first quarter of 2016. Currently, the project is unable to export power but compensation will not be paid for the outage. Poulsen also highlighted the final investment decision (FID) for the 1.2GW Hornsea 1 project, announced 3 February. He said offshore wind will have a role to play in a number of countries worldwide in reaching the renewable energy and carbon reduction targets. Dong also revealed a third of the 171 Siemens 7MW turbines will be installed on suction bucket foundations. The company had been trialling a suction bucket foundation at its Borkum Riffgrund 1 offshore project last year. Poulsen said the suction foundation had worked "really well" and said it would become increasingly important as the sector moves to further from shore projects and larger turbines. He said the technology would be deployed in "specific positions" at Hornsea 1 where water depths range from 23 to 40 metres. Dong said 75% of its capital employed in 2015 was on wind power. It also predicts over 80% of its capex between 2016-2020 to be spent on offshore wind power and bioenergy. "The capital employed distribution between business units and the focus on investments in renewable energy indicate the expected shift in the future earnings mix," Dong said in its financial report. 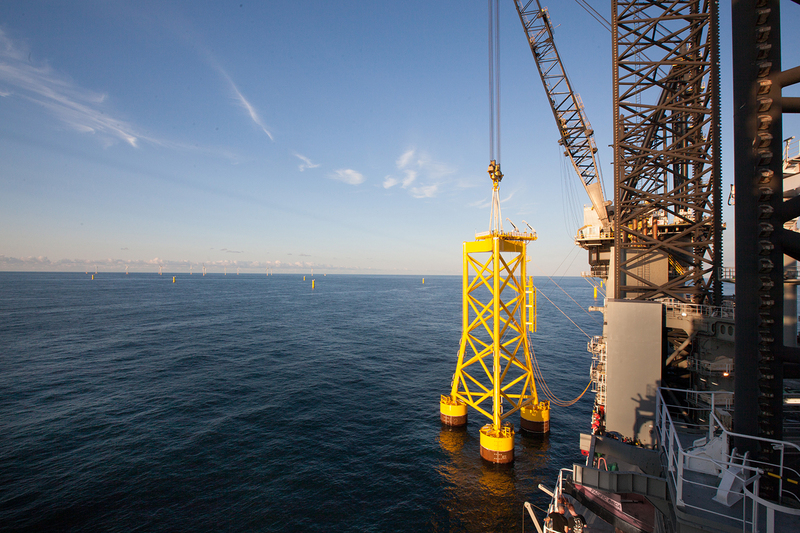 As well at the Hornsea 1 FID in February, Dong expects to complete financing for its 450MW Borkum Riffgrund 2 site in Germany later this year.